Want to standout from the crowd? Want to be remembered long after you’re gone? Want to be able to do it easily? Then create a signature style. A way of dressing that’s uniquely you. My friend Diane loves leather jackets. Every time I see one, I always think of her. Another friend, Pat, always wears Estee Lauder’s “Youth Dew.” Every time I smell that scent, I always think of her. Gwen Stefani has red lips. Sofia Vergara wears form-fitting dresses. Ellen Degeneres prefers pants. These are their signature elements. Things you always associate with them. So what is your signature element? 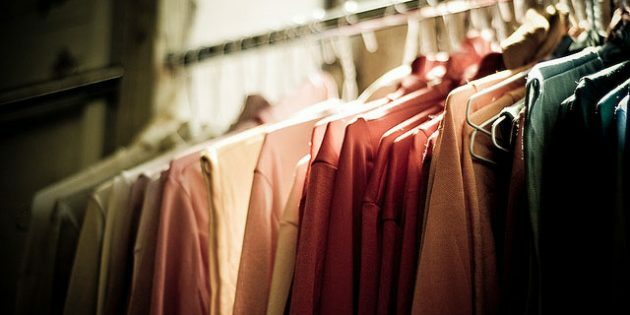 Because when you have a specific way of dressing – one that draws attention to your best features and reflects your personality – it cuts through all the clutter and makes shopping a breeze. You fill your closet with things you love and getting dressed becomes a snap. So does that mean you only ever wear what you want, regardless of the occasion? It means that you take your signature element, whatever it is – flowers, belts, shoes, the color purple – and you adjust it to suit the occasion. For example, let’s say that you love roses. *When you’re lounging around the house, you might wear sweats with a rose on them. *When you meet friends for dinner, you might wear a rose print top. 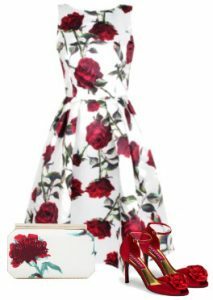 *For a friend’s wedding, you might wear a rose print dress with rose colored shoes and handbag. *For a high powered business meeting, you might wear a business suit with a rose lapel pin. You don’t wear roses every single day, but you incorporate them often enough in your ensembles that people begin to associate them with you. Soon, you become “the rose lady.” People may not remember your name, but they’ll always remember that you wear roses (or cool jackets, or “Youth Dew” perfume, or whatever your signature element). “Real Housewives of Beverly Hills” star Lisa Vanderpump wears pink so often that her nickname is “Pinkie.” She doesn’t wear it every day – she has four or five colors that she regularly rotates – but it’s often enough that that’s how she’s remembered. So what’s the advantage of doing this? You get to wear your favorite things frequently, which makes you happy. People begin to associate your signature element with you. You look like you’ve put some thought into your wardrobe. You only buy the things you love. It may seem a little complicated at first, but once you master it, getting dressed becomes a snap. Designer Carolina Herrera has loved the look of a crisp white shirt and black skirt since she was a teenager. It’s been her work “uniform” for decades. She doesn’t always wear it, but she does about 90% of the time, because it allows her to look polished and professional, give interviews with ease, yet not overshadow her couture clients. She’s been on the “Best Dressed” list for 40 years. Polished, professional, and catering to clients. That’s what you should strive for with your signature element. The good news is, you don’t have to go big or elaborate and chuck your old wardrobe. Just start with what you already have and love, and keep buying more of the same in occasion-appropriate versions. Soon, you’ll have your own work “uniform,” the one that allows you to wear your favorite things yet still be appropriately dressed. “I’ve always loved the story of Robin Hood and have lots of medieval stuff in my house. But it never occurred to me to wear it to work, it just seemed really out of place. I started wearing things like arrow lapel pins, distressed leather belts, even a green jacket on occasion. It’s always professional, nothing too kitschy or Goth. “I’ve enjoyed all the compliments, of course, but I’ve been FLOORED by the number of conversations these pieces have started! I had no idea I worked around so many history buffs! Yep – when you let your personality shine through with your signature element, you draw people to you like moths to a flame. When you dress just like everyone else? No so much. You tend to blend into the crowd. So think about your favorite things and start incorporating them into your wardrobe. Make them your signature element. 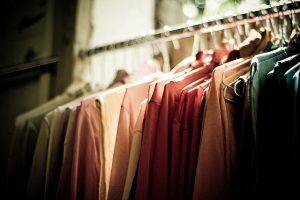 You’ll not only stand out from the crowd, you’ll be happy all day, every day, wearing things you love. Need more help hashing out your signature element – the pieces that are going to set you apart and help you be remembered? Then take the Signature Style Blueprint course and discover how easy dressing well consistently (and starting conversations effortlessly) can be. Diana Pemberton-Sikes is an image coach who helps women upgrade their careers by upgrading their image. Ready to get the attention, respect, and income you deserve? Signature Style Blueprint can help.